Attorney Barbara “Biz” Van Gelder issued the statement Monday. Judge is one of multiple people the FBI has already interviewed as part of its reopened background investigation into Kavanaugh. Christine Blasey Ford, a California college professor, has said Judge was in the room when a drunken Kavanaugh sexually assaulted her when they were teenagers in the early 1980s. 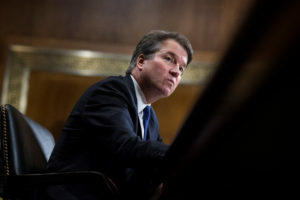 Judge has denied the allegations, as has Kavanaugh. Others who have spoken with the FBI include a Yale classmate who has said Kavanaugh exposed himself to her when they were students.